Our dynamic development appreciated… again! News » Our dynamic development appreciated… again! Our dynamic development has been noticed by the jury of the competition which gathers the best companies from all over the country. 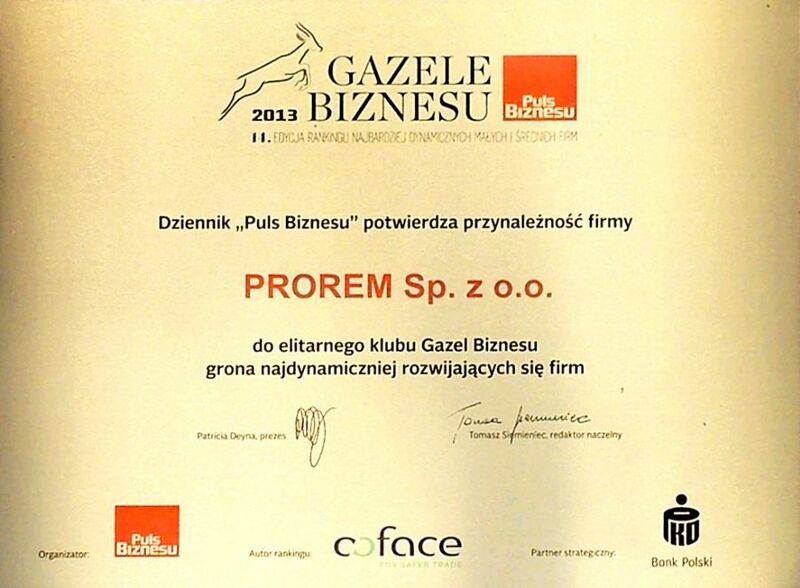 The competition - organised by the editor of Puls Biznesu daily – evaluates business operations from the point of view of their financial results and efficiency of financial strategy. We are indeed proud to be one of the best Polish small and medium enterprises because it means that our customers receive only top quality goods and services and that our business model has proved successful.